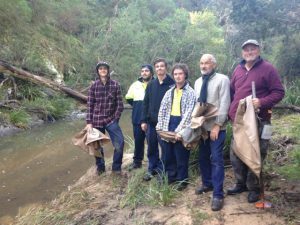 The Far South Coast Landcare Association (FSCLA) is a volunteer organisation that supports groups and individuals who strive to improve the way in which land and water resources are managed on the Far South Coast. 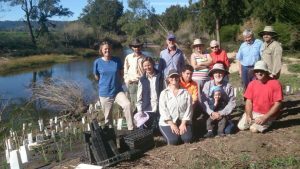 For almost 20 years, the FSCLA has been focused on projects that build community capacity and address issues such as; weed control, soil health, sustainable grazing, feral animal control, re-establishing native vegetation, water quality, gully & riverbank erosion, protecting wetlands and estuary and dune management. 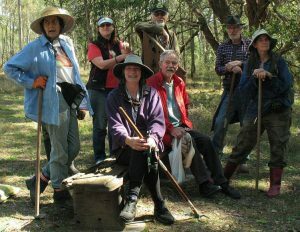 As an ‘umbrella organisation’ the FSCLA provides assistance to its’ members in the form of project management, grant development and group governance, as well as offering training forums, safety inductions and field days. Membership is free. You will receive invitations about upcoming events and information on grant opportunities. FEATURED PHOTO: The current FSCLA Committee; Bruce Davison (Treasurer), Len Gazzard, John Carter (Public Officer) Pip Russell, Dean Turner (Vice Chair), Josh Dorrough (Chair) and Sue McIntyre.